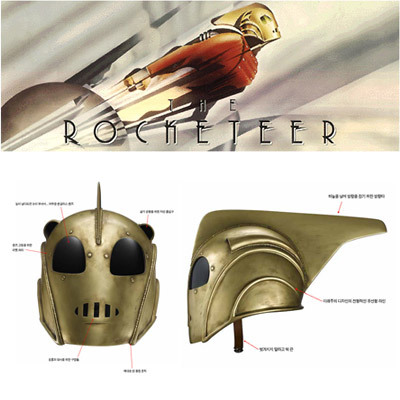 Collectible Rocketeer's Helmet | OhGizmo! By David Ponce on 10/06/05 • Leave a comment! What’s this? Something techy, something gadgety? Well, not quite. It’s just a collectible item and if you’re wondering why it fits on this page, just notice it’s filed under design. Featuring a beautiful antique gold finish, soft cotton liner, leather chin strap, and dark lenses, this exquisitely detailed helmet is based on a hero helmet casting and includes a sturdy wooden base for 360 degree viewing. Right. So, you can get it here. Story VIA Gadgetblog.it. ← Duke Nukem Forever Finally Done?